The men of the Philippine Golf Tour gear up for another grueling southern campaign with a four-leg Visayan swing on tap beginning with the ICTSI Bacolod Golf Challenge on Wednesday at the Bacolod Golf and Country Club. The organizing Pilipinas Golf Tournaments, Inc. will actually stage two events in the premier city in Western Visayas with Negros Occidental Golf and Country Club (Marapara) hosting the next stop for the ICTSI Negros Occidental Classic on Aug. 15-18. The quaint Iloilo Golf and Country Club will next stage the event, the ICTSI Iloilo Golf Challenge, on Aug. 22-25 before the regional swing concludes at the Cebu Country Club for the ICTSI Cebu Invitational on Aug. 29-Sept. 1. 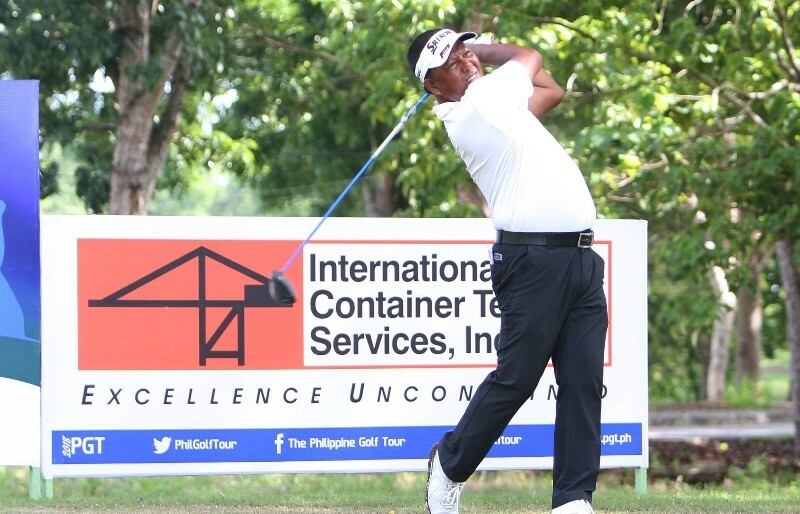 The PGTI and the sponsoring ICTSI revived the southern swing with a three-leg tour in Mindanao last June with three players sharing top honors. Jobim Carlos, riding the crest of his breakthrough win at PGT Asia Riviera leg, won the Apo stop while American Nicolas Paez upstaged the local aces to snare the Del Monte diadem. Young Korea Kim Joo Hyung, on the other hand, posted a record win at Pueblo de Oro, becoming the youngest player at 16 to win on the country’s premier circuit backed by BDO, KZG, Custom Clubmakers, Meralco, Sharp, Champion, Summit Mineral Water and PLDT. From the looks of things, the same unpredictable finishes loom in the Visayas tournaments with multi-titled Tony Lascuña out to snap a long spell along with a host of others, including reigning PGT Order of Merit champion Clyde Mondilla and veterans Elmer Salvador, Ferdie Aunzo, Frankie Miñoza and local hero Robert Pactolerin. Lascuña edged Guido Van der Valk and Micah Shin in a thrilling playoff when the circuit held its last tournament at the BGCC two years ago with the Dutch and the Korean-American also entered this week along with other foreign aces Keisuke Takahashi of Japan, Spain’s Paya Vila Salvador, Koreans Lee Song and Park Jun Sung and Lexus Keoninh of the US. But focus will still be on the local pros with Jay Bayron and Jhonnel Ababa also itching to score a follow-up to their recent PGT Asia victories at Manila Southwoods and Forest Hills, and Carlos hoping to cash in on his good form to go another victory. That guarantees four days of action at the short and flat but tight par-70 tree-lind layout at Hacienda Binitin in Murcia, Negros Occidental with hazards coming into play in most holes. Others in the fold are reigning Phl Masters champion Jerson Balasabas, Ira Alido, Rufino Bayron, Marvin Dumandan, Albin Engino, Anthony Fernando, Mhark Fernando, Jelbert Gamolo, Zanieboy Gialon, Charles Hong, Keanu Jahns, Reymon Jaraula, Rene Menor, Rey Pagunsan, Mars Pucay, Joenard Rates, Gerald Rosales, Elmer Saban, Orlan Sumcad and Arnold Villacencio.